Monday, July 25, 2016, saw severe thunderstorms batter much of the mid-Atlantic; the early morning hours featured the first round, a natural alarm clock potent in its own right, only to be outdone by the main event during the afternoon and evening hours. 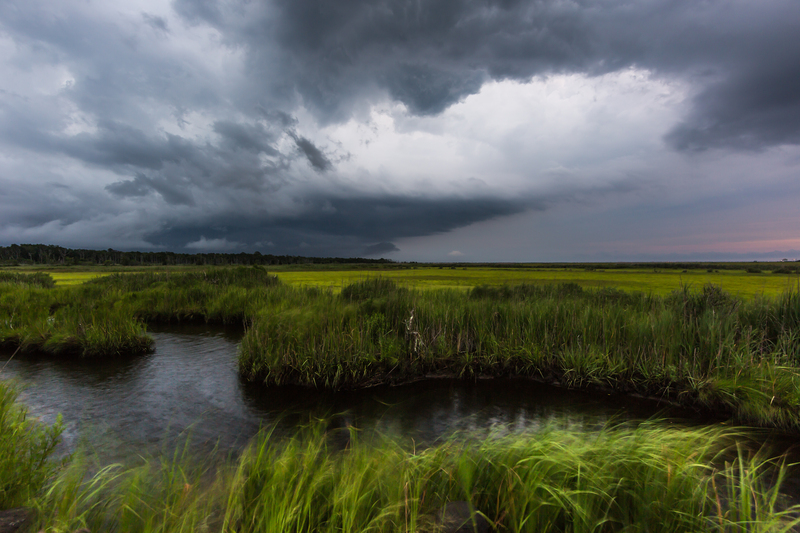 The widespread storm outbreak managed to hold together all the way to the New Jersey coast. The perfect storm of high CAPE values, substantial sheer, diurnal heating, and sky high dew points and temperatures fostered a caustic atmosphere for powerful storm development and continuation of the line for hundreds of miles. On a personal level the pressure of the moment becomes a lot to deal with. You know you’re under the gun. You know strong winds and high voltage is fast approaching. You know wind driven rain will soon be upon you rendering a camera effectively useless thanks to soaked lenses. Rolling thunder in the distance coupled with lightning strikes on the horizon gets the heart rate up, and it’s a real struggle against nature and your best instinct to remain calm and patient enough to make good shots. It’s a far cry from the relaxed pace of a predictable, slow moving sunset that’s for sure. Of course, it’s this adrenaline surge that’s a big part of the fun. In the meantime I have one or two other photos to post from Monday, and JC went live on the Weather NJ Facebook page and produced the following video (approximately 36,000 views at the time of this posting!) documenting deteriorating conditions peak storm. Check it out.